Low back pain (LBP) is thought to affect up to 60 to 80% of the Western population throughout the course of their life. 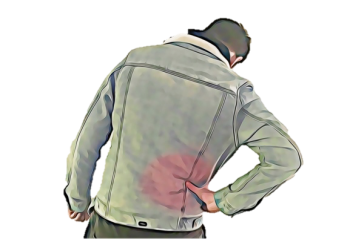 Many people do not have any preceding events to cause this back pain, although specific injuries can also initiate their symptoms. Lower back pain constitutes almost half of all chronic pain. This has a huge effect on quality of life and people with LBP tend to have more time off work and higher of medical costs than those who do not have symptoms. Sedentary lifestyles, increased body weight, reduced physical activity and poor postures are all contributing factors to LBP. Obesity rates in the western world have never been higher, and this is known to cause greater rates of musculoskeletal pain than ever before. Back pain can strike suddenly or build up slowly over a period of time. Many people report sudden and severe onset of back pain from a seemingly innocent movement. Others find that their back aches towards the end of the workday and follows a regular pattern. Thankfully, more and more workplaces are advocating for better ergonomic set-ups in order to pre-emptively reduce the incidence of LBP amongst employees. If you are suffering from back pain, speak to your physiotherapist for advice on how to best manage your symptoms. While no one can prevent back pain with 100% certainty, keeping active, avoiding smoking and maintaining a healthy relationship with alcohol and heavy labour, can reduce your chances of having low back pain.